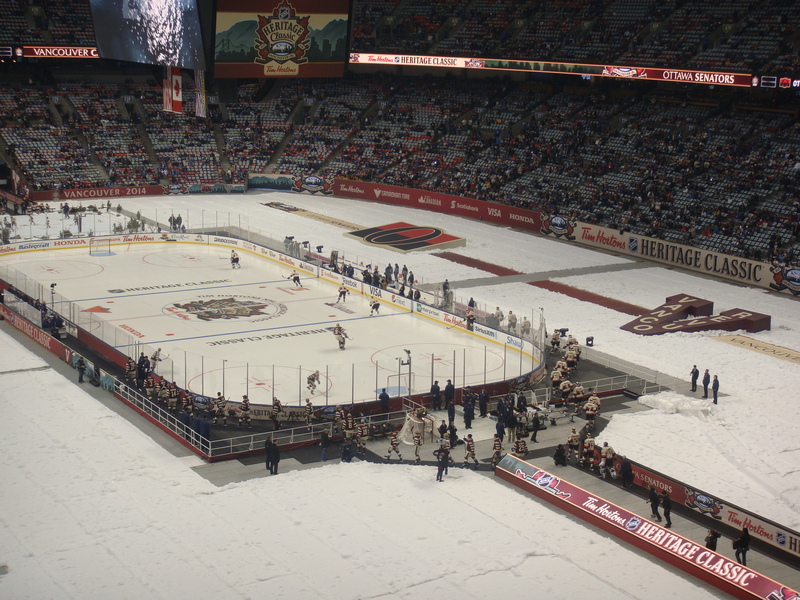 I had a great time at the Heritage Classic game despite the outcome. 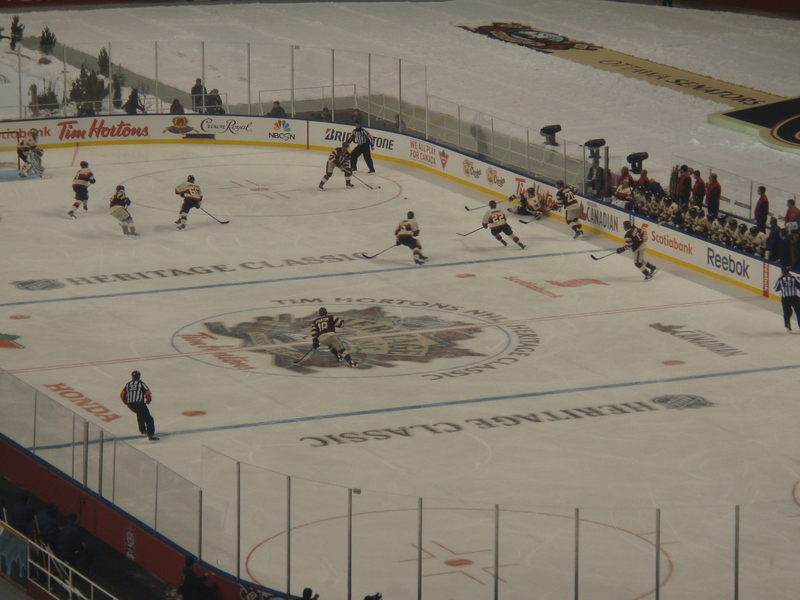 The Vancouver Canucks played against the Ottawa Senators and unfortunately lost 4-2. 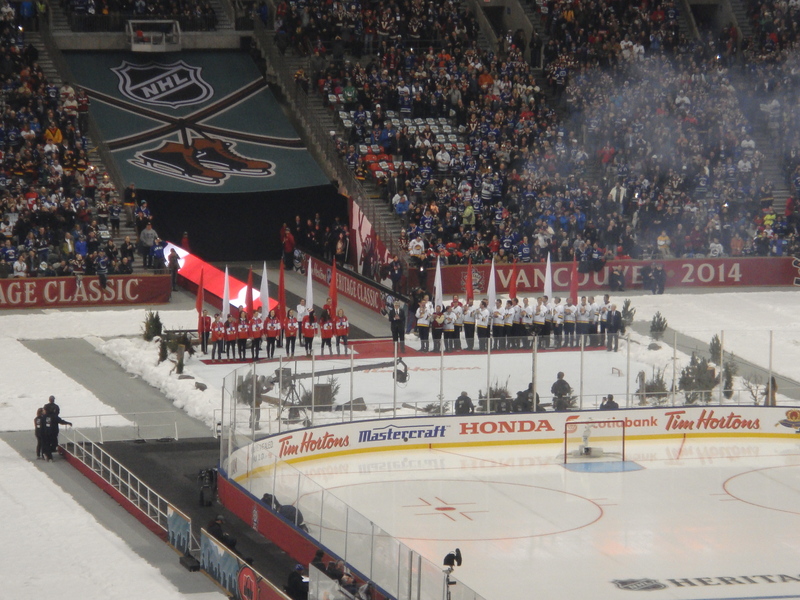 The game was held inside BC Place and the transformation inside was pretty amazing! 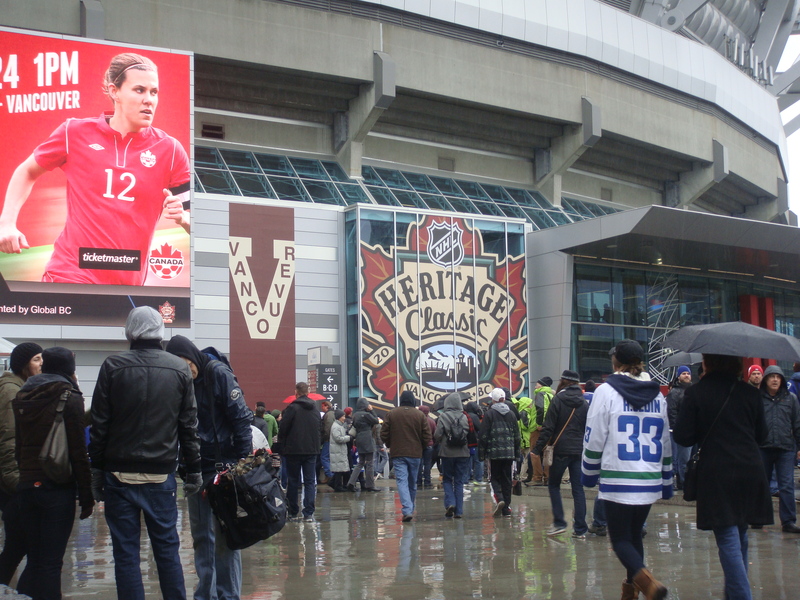 Yes, it would have been nice if the roof was open for this game, but because it’s Raincouver, it had to remain shut. Before the puck drop at 1pm, there was free outdoor hockey and an entertainment festival in the NHL Spectator Plaza (at the Plaza of Nations) for fans to enjoy. I sadly did not get a chance to make it out! I’m sure it was fun though. You could hear the crowd chanting for Luongo to start in net, and I think out of respect, Luongo should have definitely started. No disrespect to Lack, who was just caught in the middle of all of this. Lack played a decent game, but seeing Luongo in net would have been better because well, he’s Luongo. 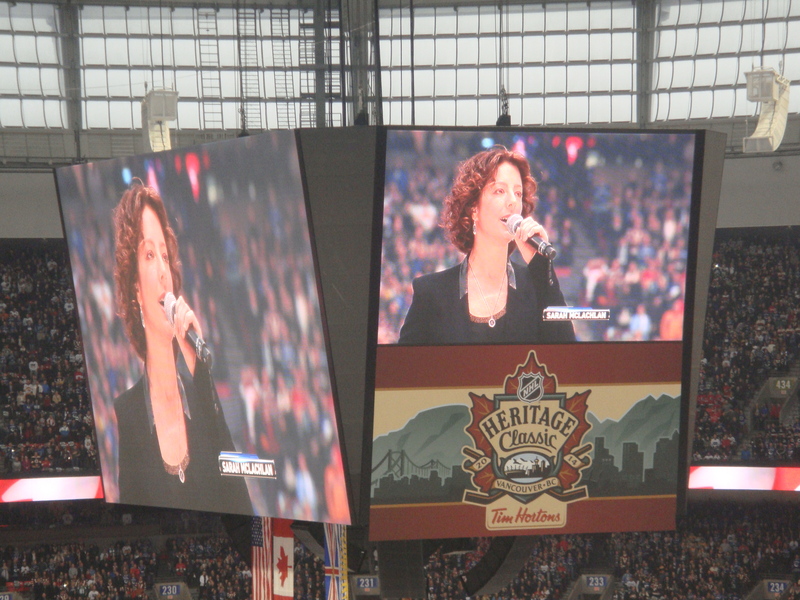 Teagan & Sara were there to sing during the first intermission along with The Odds who sang at the second intermission. This was a great once in a lifetime opportunity and I am so glad that I was able to be a part of this atmosphere. The attendance was 51,194! Though tickets did not sell out, the turn out was pretty good. 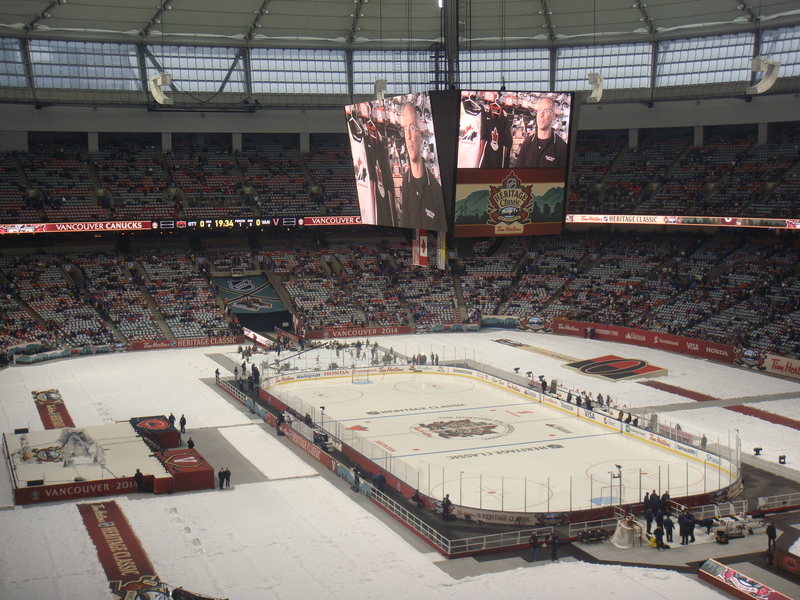 Til next time… Go Canucks Go!